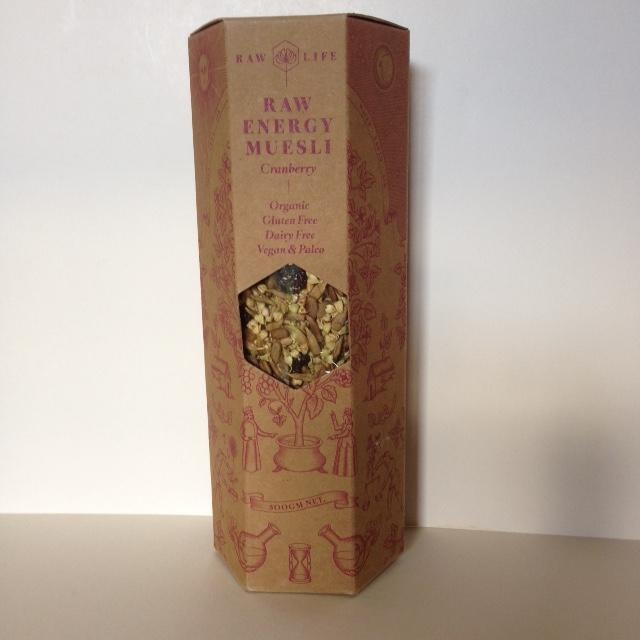 Raw Energy Muesli Cranberry is made from sprouted Buckwheat, Quinoa and Sunflower Seeds. The sprouts are dried for 20 hours at 45 degrees to lock in the increased nutrients through the sprouting process. Then Chia seeds, Raisins and Cranberries are added. This micronutrient dense sprouted muesli is power packed with you daily dose of vitamins A.B.C.E plus mega dose of omega 3 & 6. This topnotch muesli is one of the best this planet has to offer, is a delicious mix of sprouted gluten free seeds with a small amount of dried fruits, eat with fresh fruits of your choice in season and yoghurt. Nothing is added except real organic food and the value of this product is second to none.